Who else besides Cameron Giles would have not only the boldness and audacity to not only rap over a sample from Vanessa Carlton’s ‘10,000 Miles,’ but also the skill and imagination to actually make it sound incredible? This just came out last night but I think I’ve already played it about 100 times after my boy BG thankfully alerted me about it; it’s just that infectious. Cam takes on a different perspective here, narrating what is basically a story of a breakup and regretting not appreciating what you had until it’s too late, wishing things could have been different. 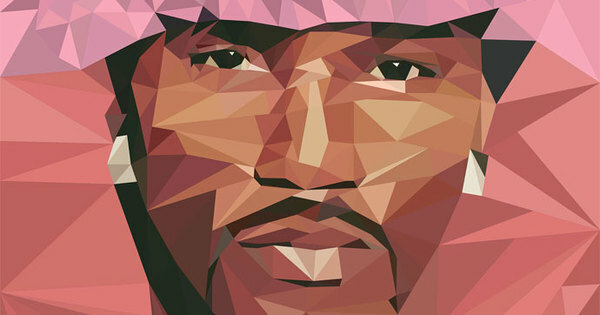 It’s interesting perspective to hear because while Cam’ron has lived such a colorful lifestyle, this is a theme that pretty much every single person out there can relate to and has experienced to some extent. You can really feel what Cam is saying in the beginning, often the people that have loved us the most become the ones that can’t even stand to look at us after we wrong them. Unfortunately we all know what he means when he says he knows he was wrong but has too much pride to apologize. You get that classic Cam flow right after that, ‘iPhones and cameras, nights in Atlanta, tried to bring her gifts she said you ain’t Santa’ before he reflects that it’s ‘Hard to believe I messed trust up.’ That is a terrible feeling when you try to fix things by buying gifts etc. but the ship has already sailed and no effort on your part can fix things and you finally realize it’s too late. Since Cam is in his early 40s now, it’s cool to hear him rapping about a more ‘everyday’ type theme like this with a wise perspective . 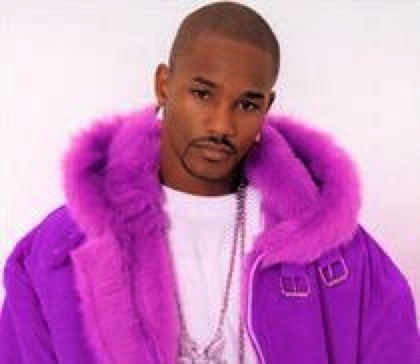 Cam’ron absolutely slays this beat by casually rattling off quick and deft punch line after punch line in a way that works perfectly “Day to day life dealing with reality/lawyer got me off on a technicality/all I think about, we was Mickey and Mallory/nothing left but increase my salary/now money is the focus/hustling president POTUS/anything else right now is bogus/real estate opened up I gave notice/murder was the case Calvin Broadus/blue magic though hocus pocus/they forgot that my dope’s the dopest’.” “Made a mil in one week yeah it’s poppin’/retail therapy I’m shopping/pulled off the lot, top dropping/no legs on the car but it’s bopping/speakers in the door so it’s knocking/I got all the keys so I’m locked in/felt above the law, Johnny Cochrane/and I’m off the rebound, Rodman.’ The way Cam just adeptly layers on reference after reference and paints such a picture with literally every single line/word is approaching a level of skill and mastery that you rarely ever hear. You could almost take any verse from this song (or almost any other Cam songs) and teach a class or write a textbook with it, from the pop culture references to how to set a scene and tell a story. In the Belly of the Beast there’s Shiest the Barbarian! I don’t think there was a song that was more summer in uptown NYC Bronx/Harlem in the mid-to late 2000s than Purple City Byrd Gang, whether it was blasting from car speakers or being one of the main elements that started a fist fight at a house party I remember. The song is unmistakable from the moment the ominous and captivating beat hits in the beginning. Sheist Bubz’s opening verse is absolutely savage and an all-time classic that perfectly capture of the gritty uptown imagery and swagger of the time; every line from it is a hard hitter from him saying to go ahead and let the fiends into the traphouse, to being a 10th grader going from varsity letterman to getting involved in interstate trafficking and hopping on a bus to Maryland (presumably either Peter Pan or Grehyound). “Nah I ain’t worrying, send shots and they scurrying, transactions we hurried them, bastards we buried ’em, in the belly of the beast there’s Sheist the Barbarian,” he triumphantly declares at the end. Perhaps the only thing that can overshadow the sheer brutality and bravado of his verse is the 3XL purple Dickies work shirt that he’s sporting with purple Dickies workpants and a purple Yankees hat. This little minute and thirty second overlooked masterpiece that Jim Jones threw together is from after Dipset’s glory years were in the rear-view mirror and from about 7 years ago but it’s such a fun, real, captivating 1:30 song that I wanted to pay some quick homage to it this morning. For some reason sunbconsciously this song always reminds me of spring time and with the snow finally melting in NYC this weekend and me breaking out my Jordan slides for the first time in quite a while, it felt like the perfect time to take it out for a spin, and it still holds up really well 7 years later.